The Nsapo (or Sapo) and related Congolese groups are among the most prolifix axe makers in Africa. 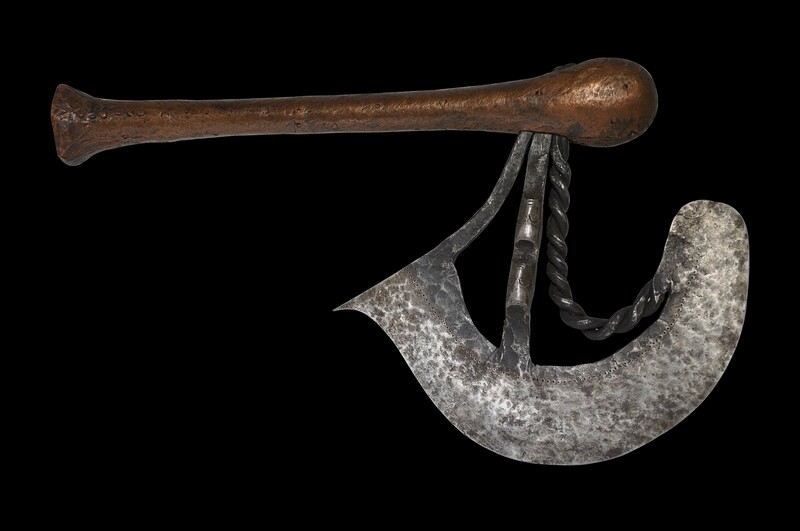 Axes with thin, knife-like blades were used largely for ceremonial reasons. 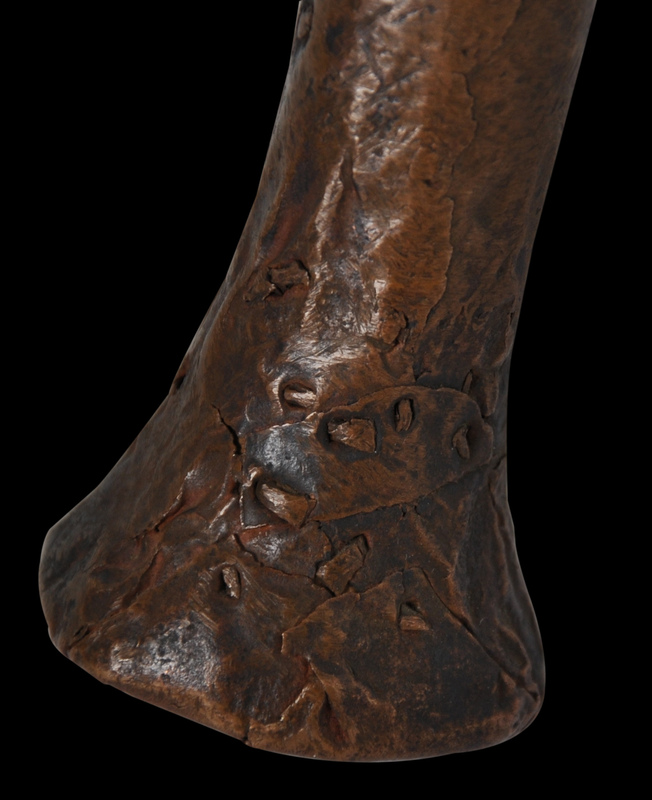 The example here has a finely hammered blade, with complex twisted and shaped ribs. The central rib is decorated with two miniature heads or masks. The handle or shaft is covered in copper sheet that has been secured with numerous copper pins. 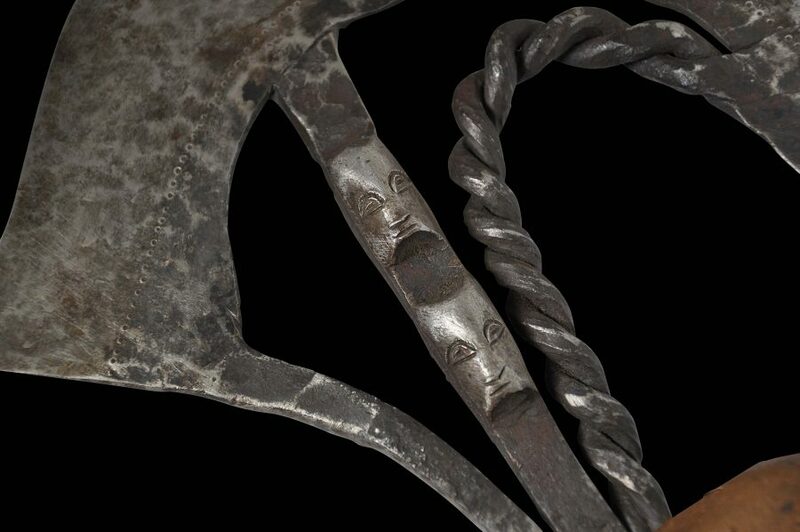 The miniature heads on such blades possibly represent sub-ordinate peoples. Such axes were carried over the shoulder by a chief on important occasions. The blade appears to issue from the handle which could be seen to represent a stylised human figure, and in this way might represent the power and the authority of the chief. The blade and handle have a fine patina. It is intact, stable and without repairs. 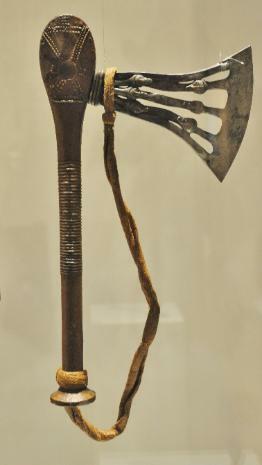 An example of a Nsapo/Wongo Chief’s Axe-Knife currently displayed in the British Museum. 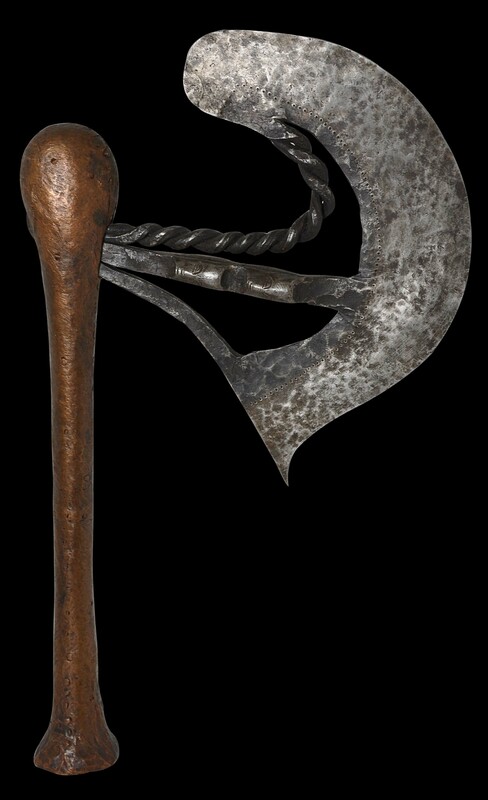 Tirri, A.C., Islamic and Native Weapons of Colonial Africa 1800-1960, Indigo Publishing, 2007.